Sometimes losing a job can break us and our family. There have been many examples that without job one have lost his family and his friends. It’s because after losing a job he/she won’t be able to support his family financially. Generally, an unemployed person needs emotional support than the financial support, but people tend to forget that. Little support to that employed person will encourage him/her to go forward and move on. After losing a job, we feel it’s an end of the world. But there are certain ways to build confidence in them during this hard time. The unemployed person feels that he is a loser and try to distant from everyone. But to avoid this, one has to spend time with them. Specially their family member needs to understand his / her situation and convince him to move on with it. Make sure that he / she never feels alone. It is better to understand their situation and what they are going through. It means never to avoid them, It can turn things very ugly. After losing a job a person feels very vulnerable. During this time his / her family member needs to make sure that to hear them. When his / her family start avoiding them, they start feeling that they are useless and also a burden for the family. This kind of feeling can make them think in a very extreme way. During their unemployment make them feel that the decision they took is a right decision. Eventually there will be tough times, but never force them to do something about it. Let them take their break from this hard time and let themselves only realize the situation. This will give them space to decide what’s best for them and plan about their next career option. Taking a long break in such a situation is necessary. So the family needs to encourage them for a vacation or family holiday. This will help them to heal and also they will encourage, explore something about themselves. It also helps them to grow and feels to be relaxed about things. By seeing new things, he /she will give a fresh start to his / her life and stays positive about it. This kind of approach can make things worse. To approach them practically, one has to reach their emotional level. After understanding the emotional level, they can at least approach them practically bit by bit. Don’t just rush to the conclusion and terrorize him / her. Let them be calm and think over your suggestion. Even they seem strong from outside just be sure of their emotional level. Sometime after losing a job, family starts feeling that they are helpless because of his / her unemployment. And instead of support at this time they start yelling and blaming him / her for their problem. This kind of behavior can make things turn and even he / she will start thinking that they are a burden for the family. So it is always better to avoid such anger and family needs to stay strong during this bad situation. Try to avoid blaming them, belittle supportive. A person always expects his / her family to be supportive during his / her tough time. Show them some love and care so that they can feel better. Be there for them whenever they need you. Behave with them in a very polite manner. Make them, feel free and comfortable. For Example going to a movie together, to a party, restaurant and park. Sometime when a sole earner of a family loses his/ her job. During those times they feel insecure about their future with them. So to cope up with this time have some savings and start spending intelligently. This will help you during your tough time. And you will not be pressurized or feel insecure about the current situation. Whenever we lose our job, most of the family in the name showing support, try to find him / her a job. This can make him / her dependent. Always let them find their own path and also let them choose what’s best for them. By leaving them alone with their decision making, you’ll make him/her feel independent enough to control their emotional breakdown. Normally, families start behaving that once they lost their job, they are not an important part of the family. So spouse of that particular person needs to make sure that every decision was made by taking his / her consent. It helps him / her to be strong enough to face that phase of his / her life. Never pity them during their unemployment phase. This can make them angry and start feeling really low about themselves. Instead of pitying them, show little concern about them. This kind concern will make them feel better about themselves and even help them start c. If family or friends supports him / her instead of pitying, can make things work out for him / her. By this, one can help them get out of their situation. By making him / her involving in daily things or by keeping them busy can make them feel usefulit will help them to take steps regarding starting a new career. It will give them certain kind of boost or energy to go on with their life and even they start thinking about taking risk of new business. Guilt is something which can make someone or can break someone. So always keep them away from those situations or people, who can make them feel guilty about themselves. Even if the situation is worse during his / her job search, never let him / her know about that. This will discourage him / her and even makes him / her feel nervous. Little appreciation even if they failed an interview can encourage them not to quit trying. This always makes him / her keep going even if they fail. Until one day they will find their dream job which can ultimately vanish all the problem faced during that phase of life. Always appreciate their efforts just to make them feel proud about them and their decisions. This can help them to start thinking about their small startup business. By encouraging towards his / her dream or ideas will make them stronger and also lets to at least to give it a try. Even if they fail in their business, it will help them choose a perfect career opportunity for them. Never judge them of being useless or nothing. When someone close to him /her starts judging them and comment about them, they think that maybe it’s true. And they start judging themselves for the things they do in their life. So being a family, one have to understand him / her, instead of judging them. Being a family its their responsibility to encourage him / her to start their career once again. For that they can help him / her with career options. So that they make any mistake by choosing any wrong option. It will take time to make him / her realize their value, but once they do understand that they start looking in a completely new way. After a certain break when we go back to our normal life. We start feeling little nervous. Similarly, after last experience with job. They start feeling little nervous about going for a new job interview. At this time the family or spouse needs to be with him / her side to support or to encourage him / her to at least give a try about this . Sometimes because of family pressure, one gives up his passion about his / her hobby. And this will always be stuck in their heart. 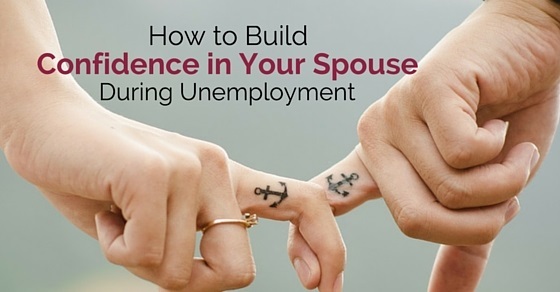 So at the time of their unemployment, if they come up with the idea of pursuing his / her hobby, spouse needs to be supportive about at least hearing his / her passion. And even if they forget about it, friends or spouse needs to remind him / her about his / her passion to encourage him / her to pursue it. If things go out of hand and they start taking them as a weak link to the family. At that point of time it is always better to take them for counseling before they do something crazy. Counseling will help them feel better, if their spouse failed to do so. This will always him / her to control his / her emotion and be practical enough regarding life. When they’re not ready to start their career most of the family or spouse start pushing him / her towards it. This is a big NO NO. By pushing them into something they are not interested in, can make them very irritated. Family needs to be supportive of his / her situation and also give him / her time to make his / her own decision. Sometimes we give them space so that they won’t be disturbed, but that’s a big mistake we do. Instead of giving them space, we need to be around them most of the time. We always keep them busy. Also, never let them spend time most inside the house. If they start being cranky then it’s time for them to take a vacation and enjoy themselves outside. Being emotional in front of that person who just lost his / her job is not a good way to handle it. Whenever our spouse or family starts crying or be emotional, it hits us very badly. To make him / her start a career, never use emotions or sensitive topics to make him / her surrender himself to you, this kind of action will never make strong. It may take things to very bad level. To conclude, I would suggest all family or their spouse that after being unemployed one feels really bad. At that point of time family or spouse need to show themselves strong. This will help them cope up with such unfavorable situation. When his / her family or spouse holds him / her strength to face the situation, makes him / her feel being strong. By doing all the above stated things, family or spouse can help an unemployed to build confidence in himself and also to start a new life from choosing new career options. Next articleHow to Become an International Business Manager?